Coronations are not easily earned in golf, but few of her peers would deny Annika Sorenstam’s dominance of the realm otherwise known as the LPGA. Now retired from competition, the record-breaking Swede is turning her attention off-course. Her role model in many respects is Arnold Palmer, so it seemed only natural for Kingdom to bring them together. Here is the first installment of a two-part insight into life beyond the field of play for these sporting icons. In little over a decade and a half Annika Sorenstam rewrote golf’s record books. With an ethereal blend of steely determination and gracious joy, she smiled her way to 10 “majors” and 80 other tournament victories around the world. On the LPGA Tour alone her tally was 72 titles and in excess of $22m in prize money—$8m more than her nearest rival. 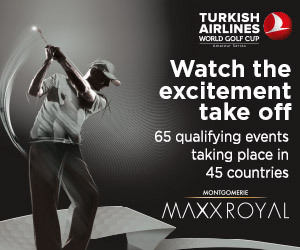 Augmenting this stellar roll call of achievements are numerous accolades, including six Vare Trophies for the lowest LPGA scoring average, and eight Rolex and Golf Writers’ Association of America player-of-the-year awards. Yet barely a month after her 38th birthday and very much at the peak of her powers, she walked away from it all. The main reason behind this remarkable career change at the end of last season was her desire to start a family, and 10 days into 2009 she married her business manager Mike McGee at Lake Nona in Orlando, Florida. But when she dropped in to neighboring Bay Hill a few weeks later for a catch-up with Arnold Palmer, she had even her eminent host scratching his head in disbelief as she reeled off a list of her current commitments and projects. “The King” has been one of the prominent and enduring brands on Planet Golf for the past half a century, and “Queen” Annika has clearly embarked on an equally regal procession. Though she says she’s still getting up to speed as an ambassador, Sorenstam has already started working. Another game-growing initiative she has embraced is the campaign to include golf in the 2016 Olympic Games. “I’m also on the staff of Callaway,” Palmer says. “I would say the relationship between a player and club manufacturers has changed radically since I came out on Tour. In those days there were Wilson, MacGregor and Spalding, and that was pretty much it for balls and clubs. Nowadays we’ve got dozens of brands and they’re all battling to make their mark. Sorenstam has also followed Palmer into course design. “I’m currently designing my seventh course in the Philippines, but I’m just a beginner in this field compared to Mr. Palmer,” she says. Palmer jumps in: “I have more than 300 courses in operation, but I’ve had a bit of a start on you,” he says, smiling. When it comes to design, Palmer says expansion and influences help drive projects, but each course ultimately has its own character. “I suppose when I’m designing I’m sometimes aware of influences from great courses I’ve played like Augusta National, and maybe these influences can be detected in a hole here or there,” he says. “But when you consider the number of courses we’ve done, and the different land and terrain we’ve designed them on, it’s impossible to copy. Teaching academies are another environment she has in common with Palmer. His is based in Bay Hill while hers is down the road at the Reunion resort. But amidst all the hard work, there is still time for some fun. Both Palmer and Sorenstam are keen wine buffs, so much so that they have their own labels. “I’ve been working on the idea for nearly two years,” Sorenstam says. “After all, male golfers like Mr. Palmer have long had their own wine labels, so why not the women as well? I have partnered with Wente Vineyards to produce 635 cases of Syrah for my first release, which will be available in May. The wine has come from the Livermore Valley just south of Napa. 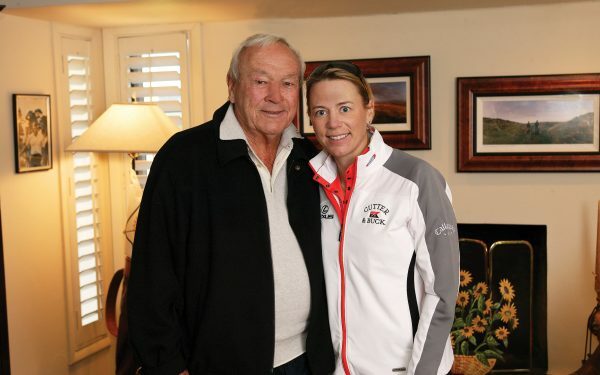 With so many pursuits, it is perhaps not surprising that Sorenstam has decided to follow Palmer into retirement from competition. After all, she no longer has the time for it! In the meantime, will she be playing some social golf with her husband Mike, son of former U.S. Ryder Cup player Jerry McGee? “I’m afraid the golf gene missed a generation in their family when he came along,” she laughs. Once a competitor, always a competitor!